← Conflict Minerals: Should Gamers Care? Is Nintendo Being More Gender Inclusive? With E3 having wrapped up last week, we’re now left with the empty void of having to now wait for many of the games announced to actually come out. Of course there were a lot of headlines: Microsoft announcing ridiculous restrictions on their console, Sony relentlessly attacking Microsoft for their restrictions on their console, and then Microsoft reversing their decision on said restrictions. Fun stuff. Perhaps the least provocative at E3 was Nintendo, who chose not to do a formal E3 conference, but instead a Nintendo direct released online. While I could go on and on about what they did or didn’t announce, I’ll spare you the rant. However, one interesting thing to come out of Nintendo this year is the number of female protagonists in their showing this year. Of the games Nintendo Highlighted this year, most of the games featured female protagonists, or at least playable female characters. This comes as more of surprise, as many of the games with female protagonists are series that have traditionally had male protagonists only. Does this mean Nintendo is being more gender inclusive in their games? Have they heard the pleas of female gamers and well known female gaming critics like Anita Sarkeesian? Is the world going mad? SHOULD I SELL ALL MY VIDEO GAMES FOR CANNED BEANS? Don’t believe me? Let’s take a look at some of the games Nintendo previewed this year. 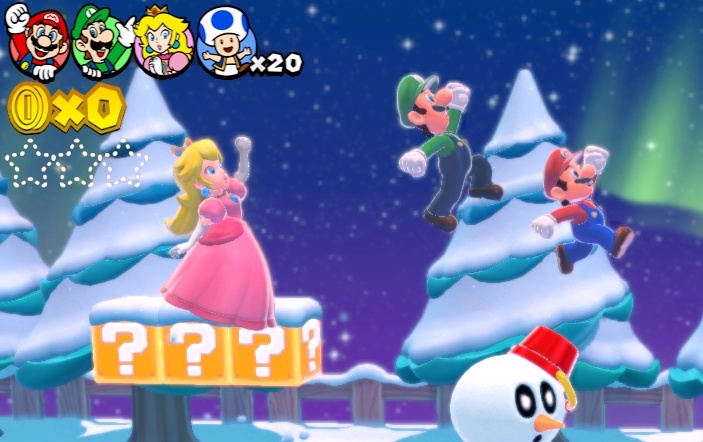 The newest Super Mario game to be announced, Super Mario World 3D features Princess Peach as a main playable character. This is the first time she has been playable in a mainline Mario platformer since the American Super Mario 2 on the NES in 1987, which was only a fluke because the game it was sprite swapped with “Doki Doki Panic” had a female character! 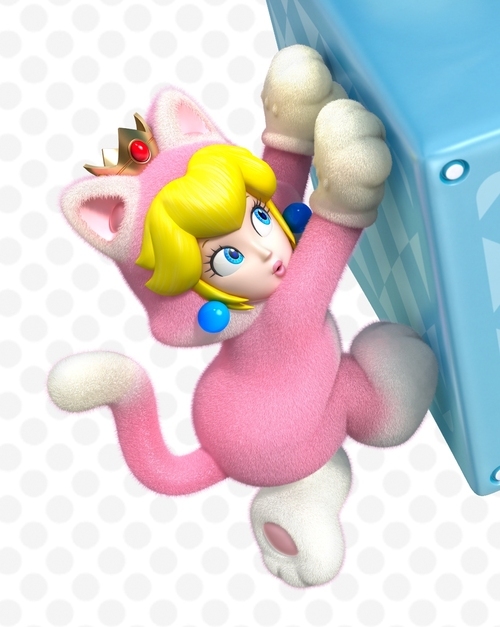 Of course the game also features Mario and friends in Cat suits clawing around and meowing like cats, so…maybe they thought Peach would fit right in? The amount of furry drawings will be horrendous. Returning to the franchise after being absent from Donkey Kong platformers since Donkey Kong County 3 in 1996 is Dixie Kong. She joins Donkey Kong and Diddy Kong on their second outing from Retro studios. Fans of DKC will already know what Dixie can bring to the table, as she was the starring character in both Country 2 and 3. As long as we don’t see that creepy Baby character that occupanied Dixie in DKC3, I’ll be happy. Also, I think there’s a healthy chance we’ll see her show her face in the newest Smash Brothers. One of the bigger surprises is the inclusion of a female character in Nintendo’s Pikmin 3, which will release later this summer. Up until this point the franchise had only focused on Captain Olimar (and later joined by Louie) as he charted an unknown land were he assigns tasks based on the color of the pikmin’s skin. Brittany, seen in pink, joins Alph and Charlie on the Pikmin planet for some adventure and countless death of Pikmin at the hands of other larger animals. We’ll see how she fares in a few weeks. Beyond these main titles, many of their other games showed look to include playable female characters, including Mario Kart Wii U, The Wonderful 101, and Super Smash Brothers X. So there you have it. Is Nintendo turning a new leaf on their perspective on female gamers? Either way, it’s refreshing. As many analysts and gamers pointed out, companies such as Microsoft showed no games with female protagonists this E3, so Nintendo really is out in front this year. This is kind of new for Nintendo, as Nintendo has historically been a much more old fashioned kind of developer. Yes, they have had franchises with female leads (Metroid, Drill Dozer), but for their most popular franchises like Mario and Zelda they have typically relied upon female characters that are stereotypes or cliches. Perhaps with the advent of the Wii’s popularity in recent year they now know they can no longer ignore the population of female gamers. This entry was posted in gaming, Uncategorized, video games and tagged Donkey Kong, e3, equality, Females, Gaming, Gender, Mario, Nintendo, Pikmin, Video Games. Bookmark the permalink. 7 Responses to Is Nintendo Being More Gender Inclusive? All of these characters were in these games 10+ years ago. That’s true for Dixie and Peach, but as I say in the article this is the first time in over 15 years that they are playable in mainline games. Likewise the only reason they were playable 15 years ago were due to sprite swamping and Rare developing DKC rather than Nintendo. Rare has been a more progressive developer on this issue with many franchises with female protagonists, but in some cases held back by Nintendo ( see dinosaur planets change to Star Fox).